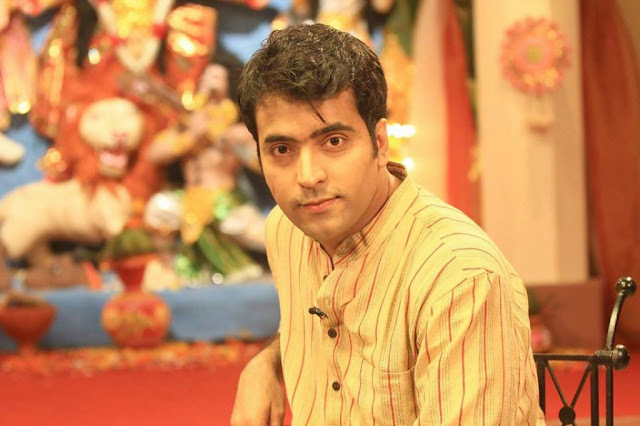 Abir Chatterjee is an Indian film actor. He mainly works in Indian Bengali movies. He was born on November 18, 1980 in Kolkata, India. He is the son of theater personalities Phalguni Chatterjee and Rumki Chatterjee. He completed his schooling from Kolkata, India. Then he took admission for BBA degree at Goenka College in Kolkata. He enrolled in the ICFAI University for MBA degree. Abir Chatterjee started his career in Bengali television with the telefilms Proloy, directed by Raj Chakraborty which aired on Sononda TV. He made his debut in the film industry with the Bengali film Cross Connection (2009), directed by Sudeshna Roy and Abhijit Guha. Then he acted in the movie Byomkesh Bakshi in 2010. He then acted many commercial successful films such as Baishe Srabon (2011), Bojhena Shey Bojhena (2012), Kanamachi (2013), The Royal Bengal Tiger (2014), Rajkahini (2015), Byomkesh Pawrbo (2016) and many more. Abir Chatterjee married to Nandini in 2007. The couple has a daughter named Mayurakshi Chatterjee.